Hi!! 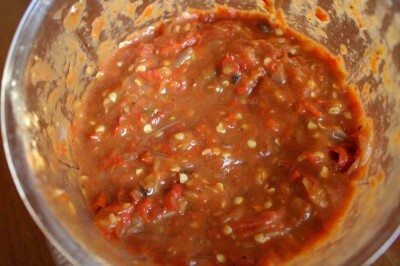 I’m back with another recipe, this time my ultimate obsession, Garlic & Shallot Sambal (chili sauce) ^^ haha, it is my biggest obsession, and because of this, I was planting a lot of kinds of chili in the garden; cayenne pepper, bird’s eye, jalapeños, hungarian hot wax, scotch bonnet & 2 different Asian variety chilies 😀 and I harvested a lot of them, I made Garlic & Shallots Sambal 5x already, and it never stayed more than 2 weeks. I was storing it in the 15cm diameter and 10cm deep air-tight container, and still, it “evaporated” too fast, lol! 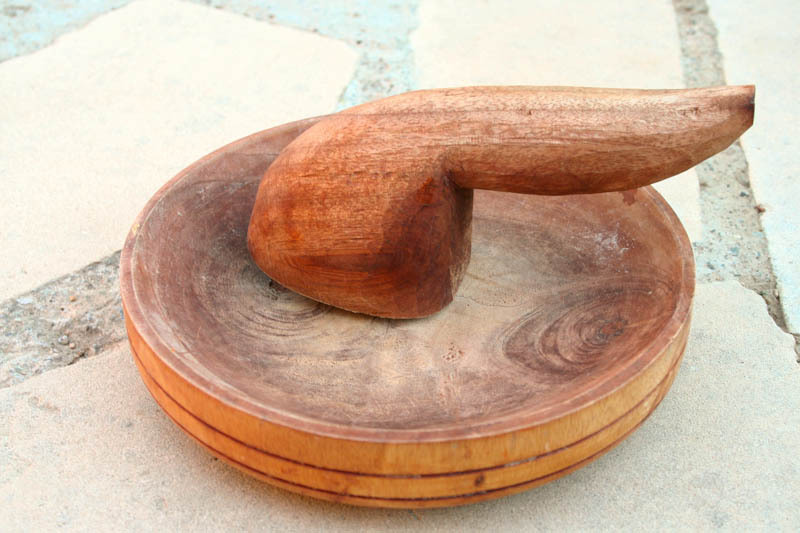 Ah, and I didn’t use stone/wood mortar to make them, cause I hurt my wrist the last time I made Sambal with wood mortar, because I need to put pressure while crushing & twisting the ingredients. This time, I let myself fell into the technology – not so electronic though. It’s Fissler’s hand-finecut/razor sharp, the one that you pull for couple of times to get the cut that you want..yes..I was thinking that I had a fitness session yesterday afternoon! >.< But I’m loving the outcome – perfect cut and smoothness. This recipe is adjusted to the condition that I have limited spices on my kitchen rack. 1. Wash clean and separate them from the green stems and place them into your steamer. 2. I use 2-tier bambo steamer and conventional way of doing it. 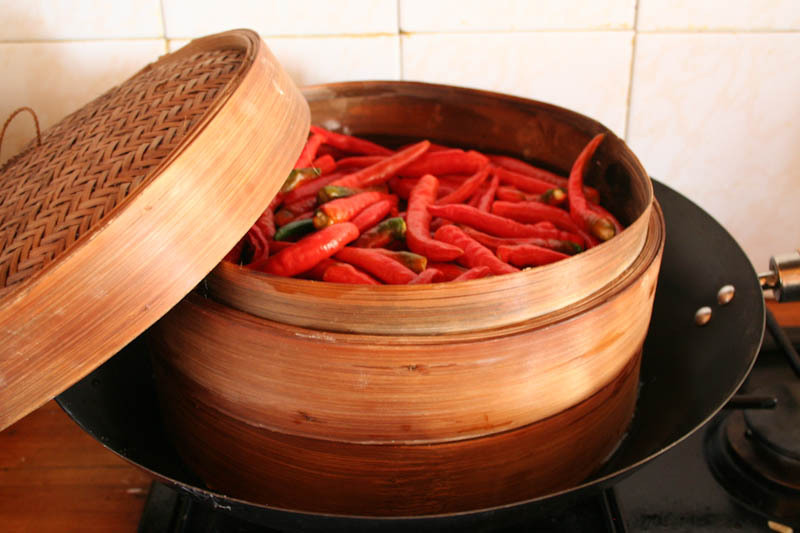 Place the bambo steamer over wok filled with water, do not pour too much water, just as level as the steamer. 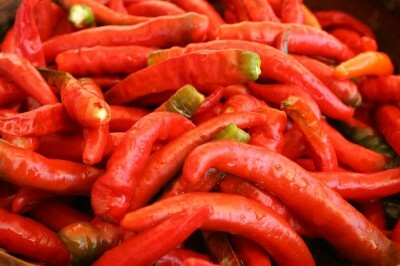 Make sure to use only small fire for the slow steamer at least 30-45mins. 3. 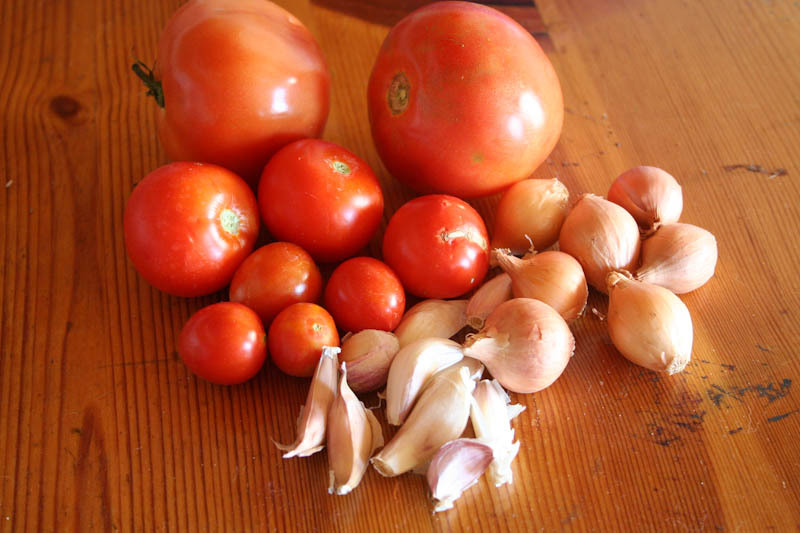 While waiting, prepare the other ingredients, it’s peeling time for garlic and shallots, and wash clean tomato and remove the middle stem, and cut them into wedges. 4. 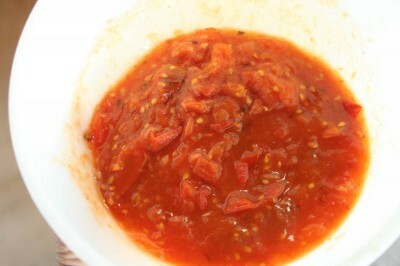 In a pan, heat up 1 tbsp of oil, and arrange tomato, leave it 2 mins for each side, it will be soften as in the picture. 5. You can use stone/wood mortar or processor to crush tomato into quite a paste. I don’t like fresh tomato, but I’d like to have tomato texture on my Sambal, that’s why I only crush them a bit, to break the form and to leave it as in the picture. 6. 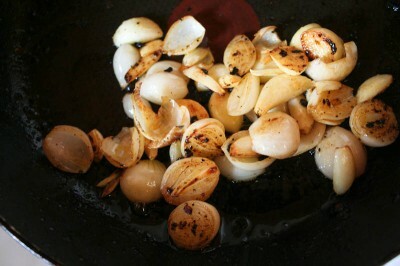 After peeled, it’s time to saute garlic and shallots. I cut them thinner, so it’s easy to cook. 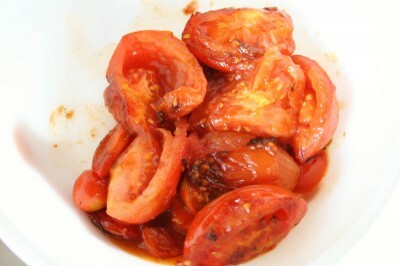 Use the same pan as the one for tomato, add 1 tbsp oil and brown them. 8. Chilies are ready, it looks softer than before. It is a lot softer and easy to crush now. 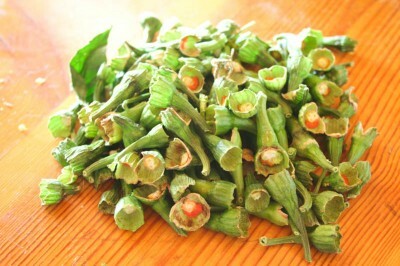 I like to use bambo steamer because you don’t loose the kicking taste if you compare with boiling them or frying them. 9. 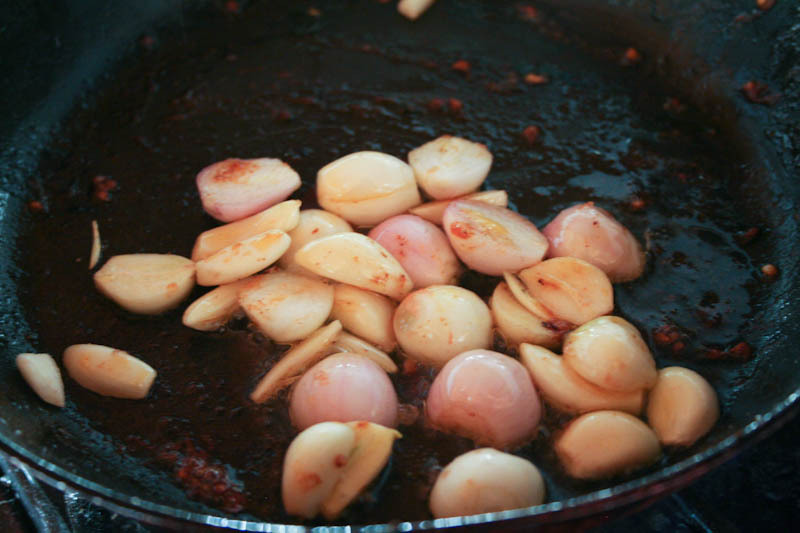 Starting the process, if you’re using mortar, make sure that you add chili, tomato & garlic-shallots bit by bit. Since I’m using a small fine-cutter, so I was crushing chili & garlic-shallot bit by bit and move them in a container where I have the tomatoes. 10. Tadaaaa….it’s finished! Make sure everything is mixed well. 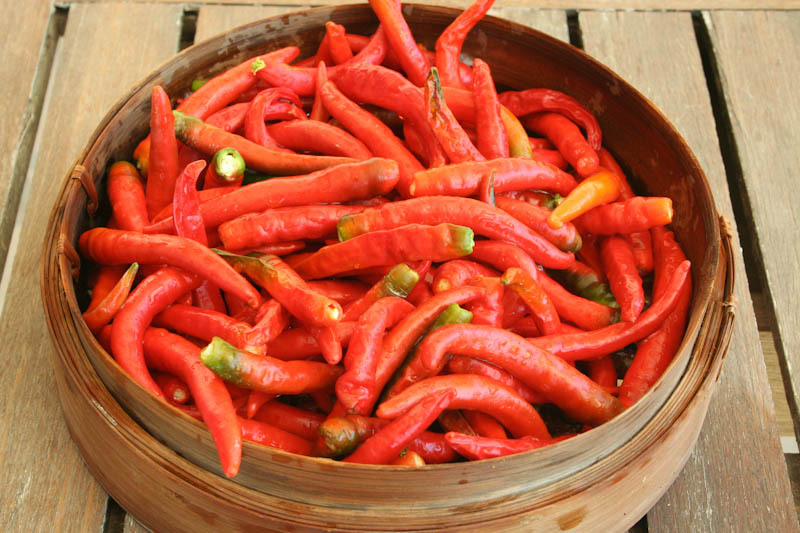 Add salt for the taste, add lime or even honey if you want it a bit sweet. I never use honey/sugar in it, since I’m not fancy sweet things. If the outcome is way too spicy for you, add some fried tomatoes and mixed them well, it will work to soften the kicking taste. It’s easy peasy to make this Sambal, the thing is you need to do over and over again to find the right balance of chilies, tomato, garlic, and shallot. I don’t like to add lemon, but I’m dying to throw in some lime. 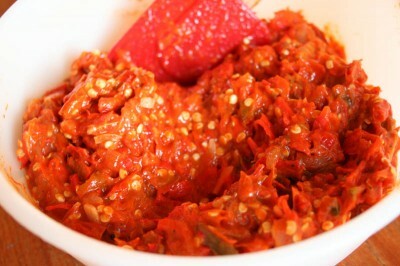 If you have Thai Basil at home, wash them, and eat it with this sambal, it’s heaven!! 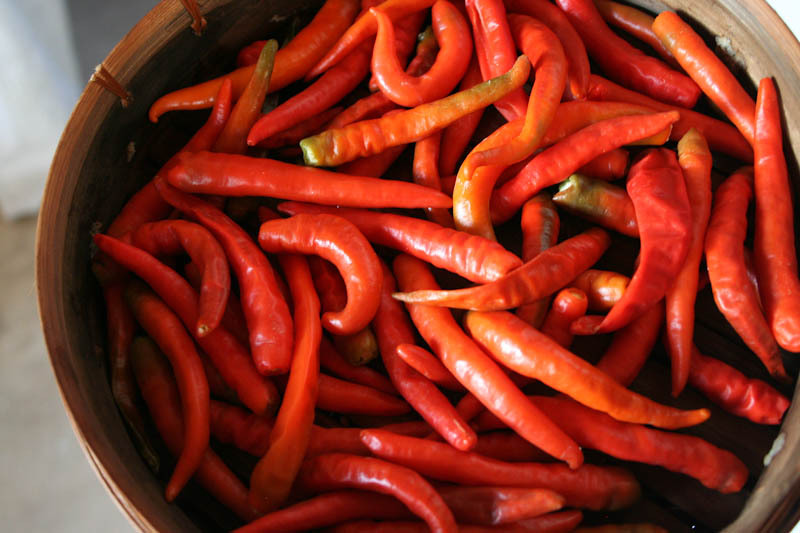 This time, I managed to fill up 2 containers (10cm, 4″) and I froze 1 container to prolong its shell life and not to kill myself with chilies. And this morning, I had to add 2 medium tomatoes in the other container (the one that is being consumed now) because it’s too spicy until I couldn’t feel the taste >.< I kinda forgot that this year’s harvest are more spicy that the previous year due to expose to sun and plenty of water.